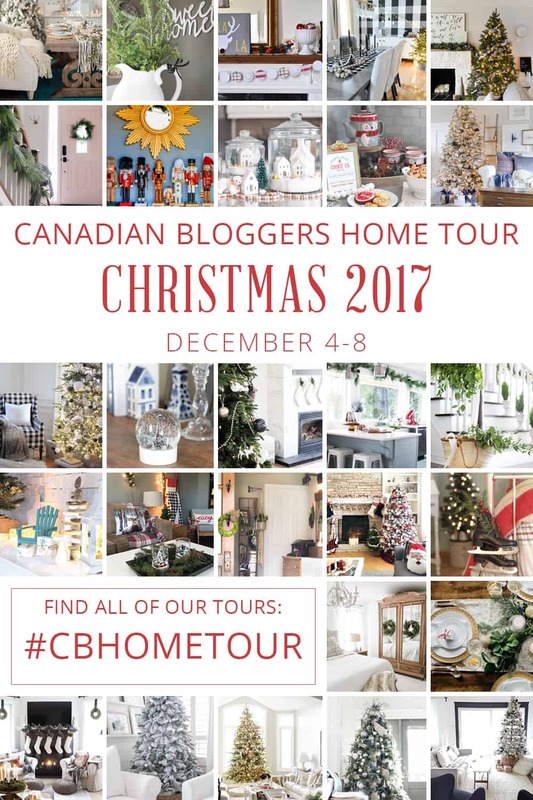 I’m super thrilled today to be joining up with a talented group of Canadian home bloggers for the annual Canadian Home Bloggers Christmas Tour Series. 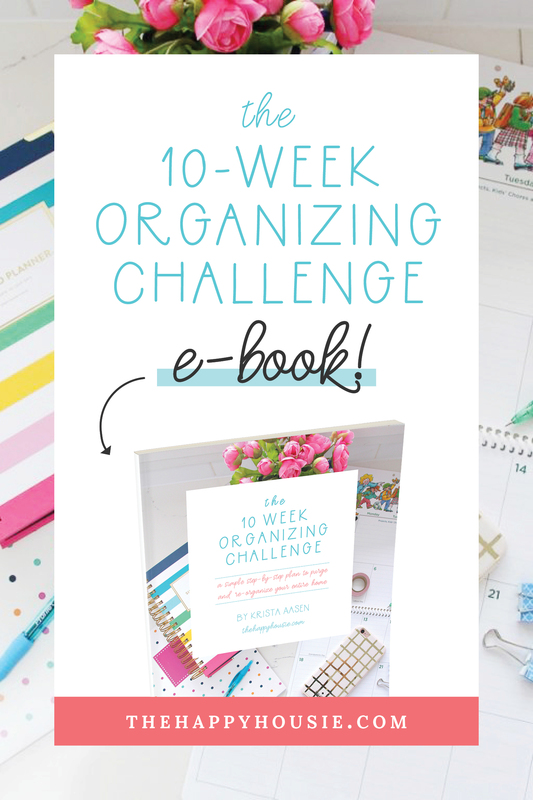 Thanks to Shannon of AKA Design and Christina of The DIY Mommy for hosting this tour! 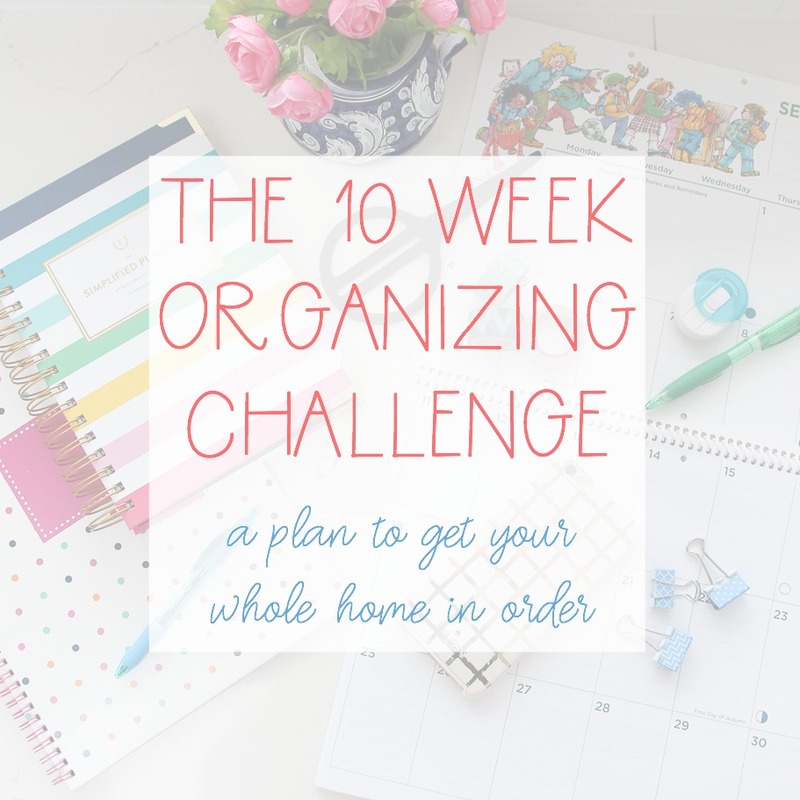 Make sure to check out the all of the inspiration at the bottom of this post! 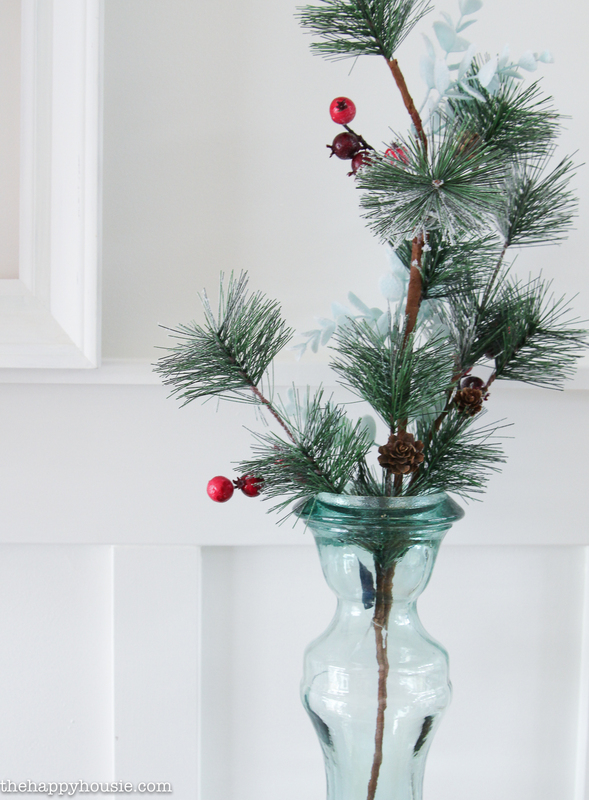 It just might be the unsung hero of our Christmas celebrations. 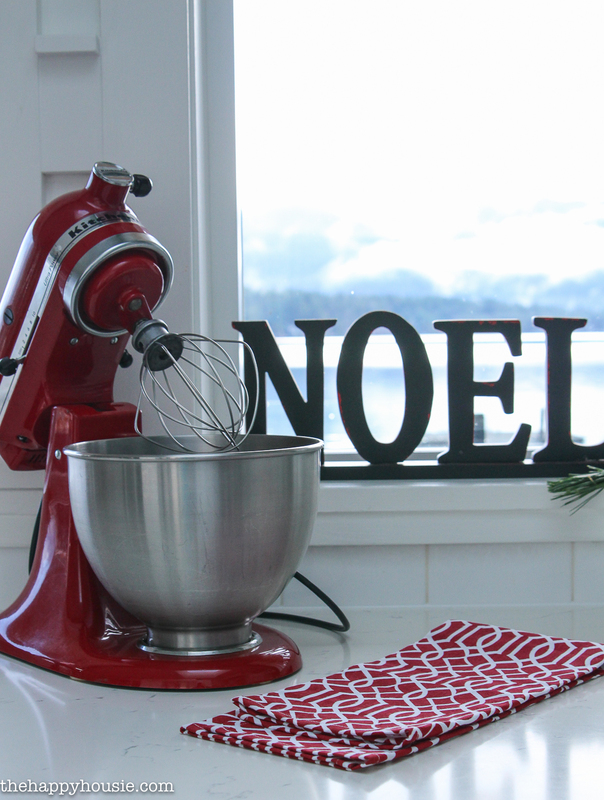 It’s where we bake the Christmas cookies. Build the gingerbread houses. 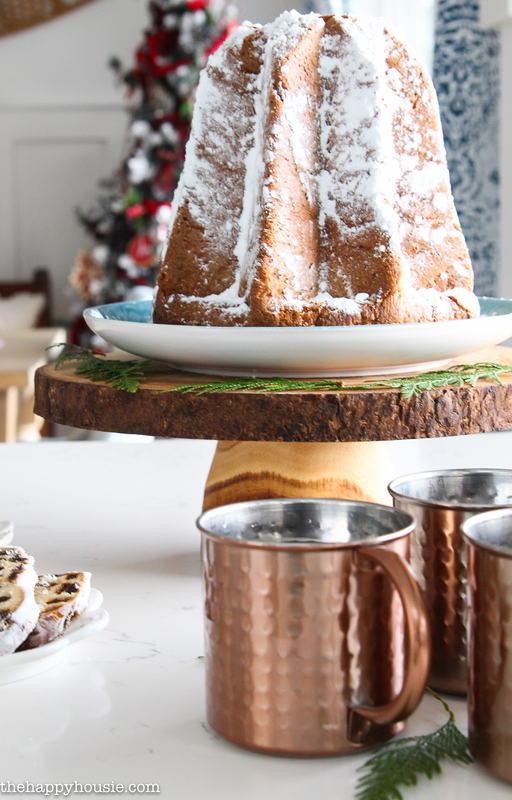 Prep the holiday appy’s before the party. 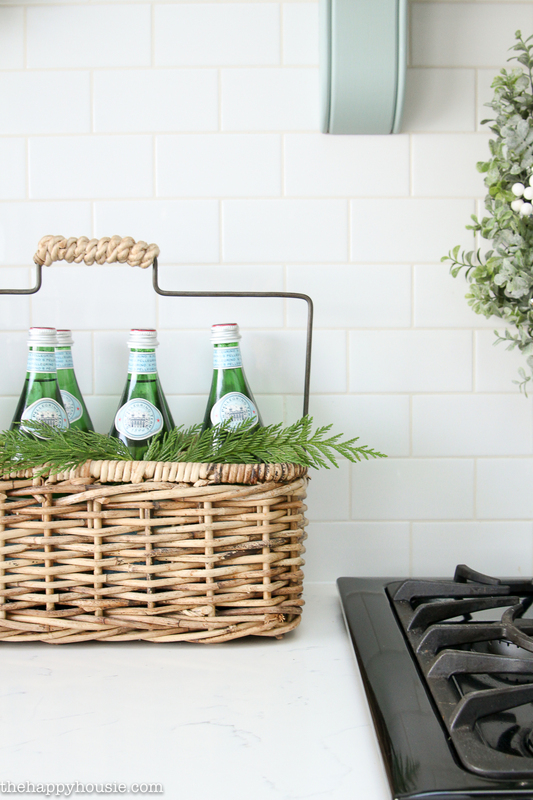 Mix up delicious drinks to serve our guests. Prepare and cook beautiful holiday meals. 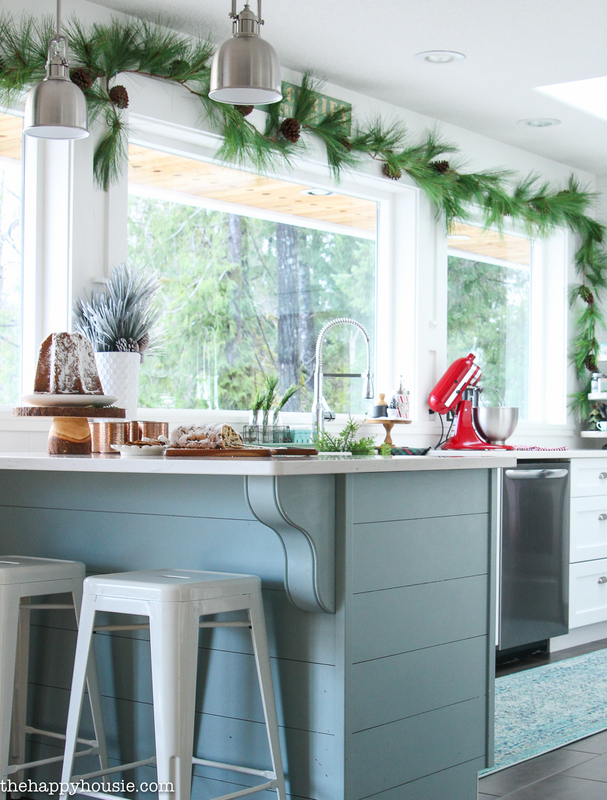 And how many times do get-togethers and parties and family dinners end up with everyone in the kitchen?So why not give the kitchen the Christmas love that it deserves? 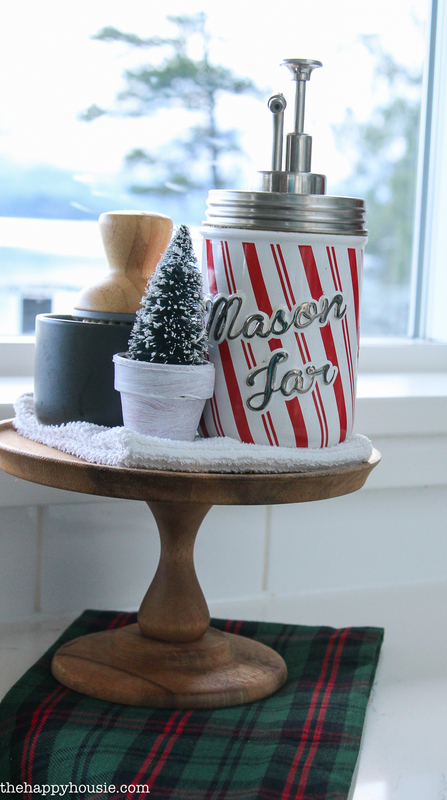 Today I’m sharing our simple Christmas kitchen tour, as well as a little peak at our dining room. 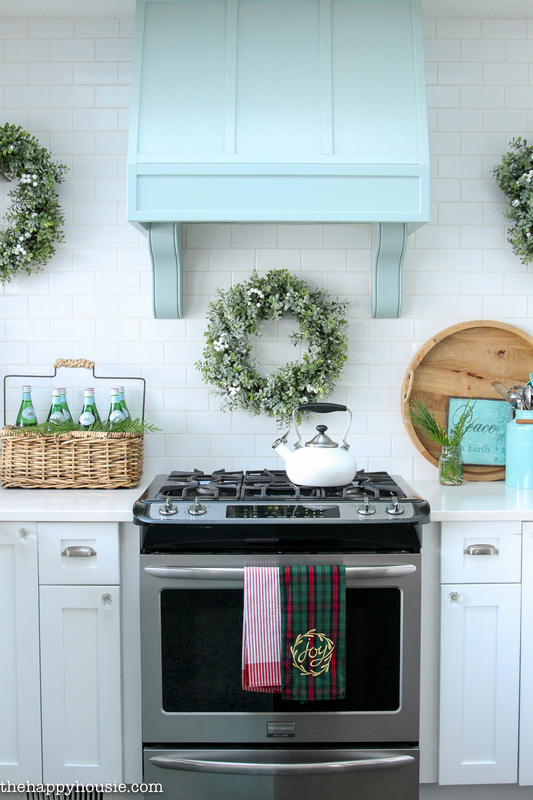 I used greenery, garlands, and wreaths and kept with a simple and classic green and white theme, aside from the pop of red that my KitchenAid lends to the scene. 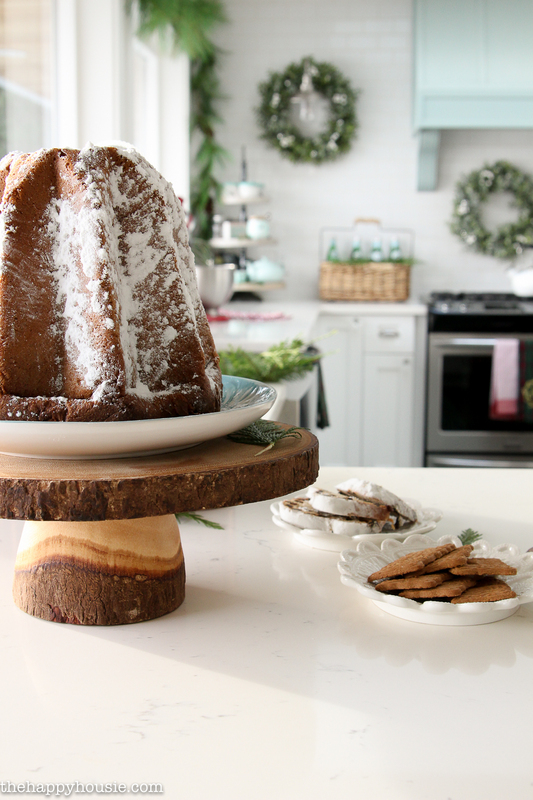 It’s perfect because Christmas is about the only time of year that we bake around here! Last year it was a hot chocolate tray. I just ordered these new super comfortable dining chairs from Wayfair and love their low profile and lovely shape. I’ll be sharing more about them tomorrow. 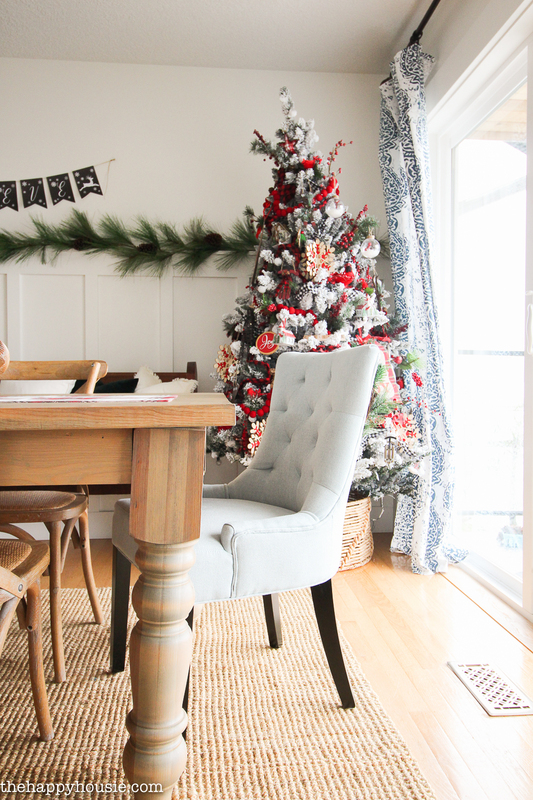 Our flocked tree competes in my heart for the favourite tree prize… it’s between that and our giant ski-lodge chic Christmas tree that I shared the details about yesterday. I shared this BELIEVE banner as a free printable a couple of weeks ago, in case you can think of a spot that it would be perfect in your home! Pop over here to download your own copy. 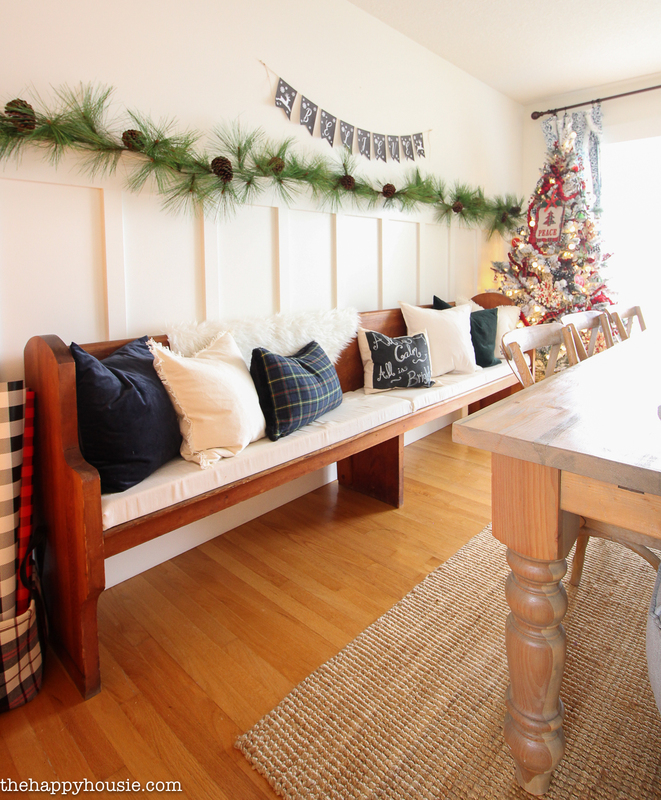 Our pew is one of my favourite furniture pieces of all time; it was gifted to us by some dear friends. 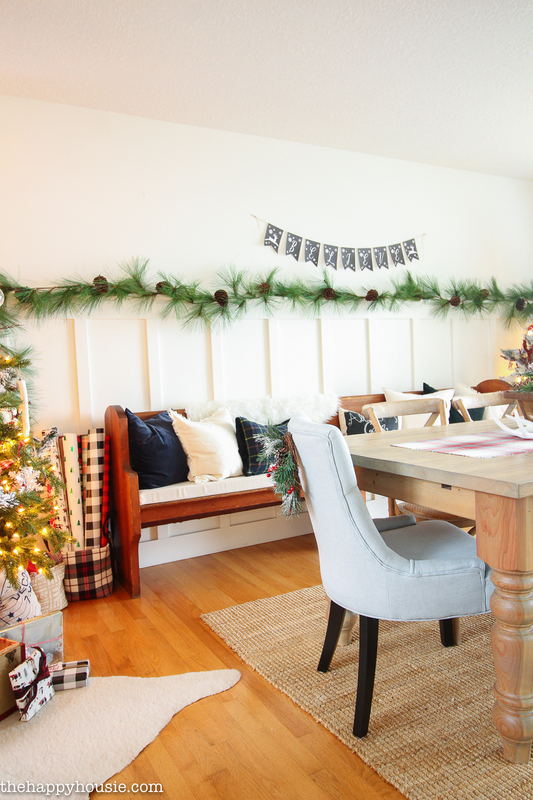 I kept the wall above it really simple this year with just the BELIEVE banner and simple pine garlands (a Costco find last season). I’m loving the light, bright, clean and simple look. 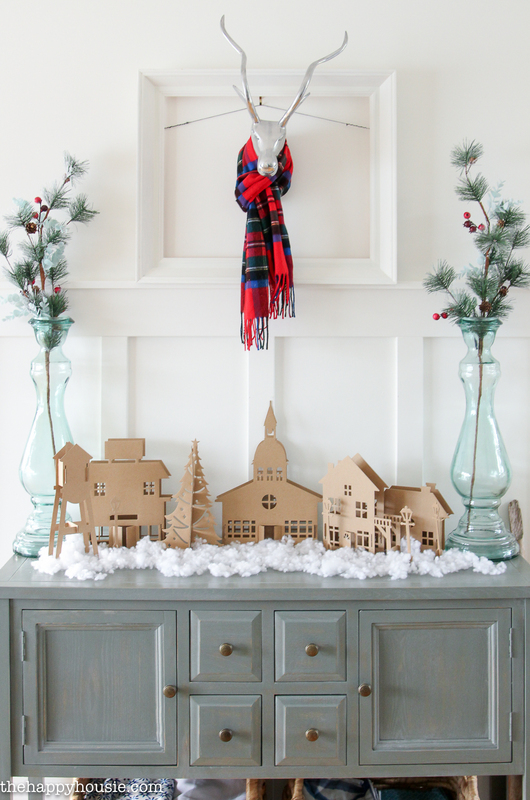 I found these punch out cardboard village houses in a set at the Dollarama and my youngest put them together – it was such a fun challenge for him and he loves being part of decorating and crafting and building things. Well, thanks for coming by for the tour! Did you find any inspiration? Then pin it so you don’t forget it! Did you see something you loved? 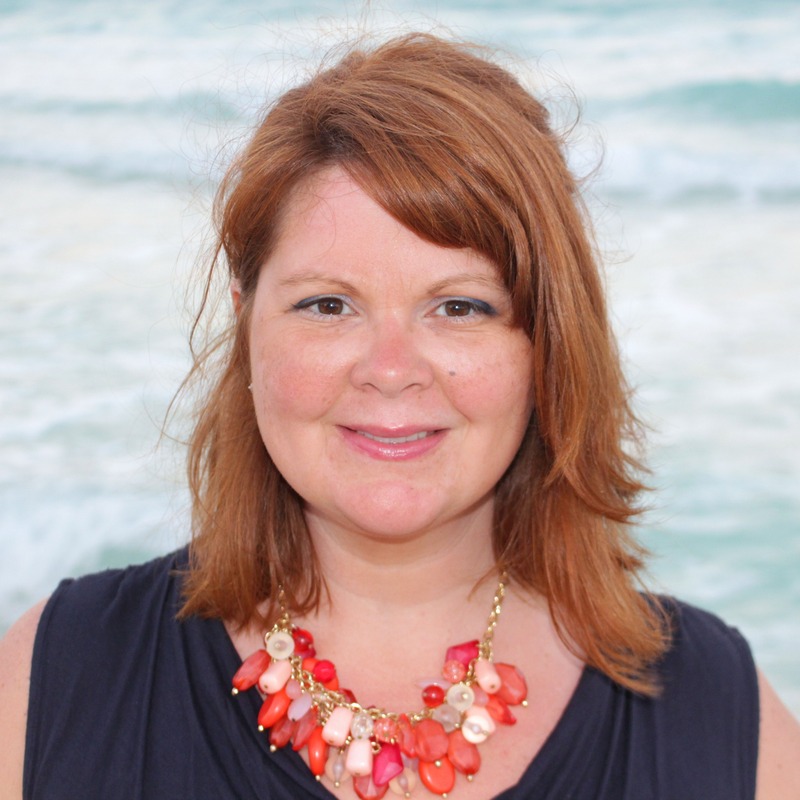 Love this article! I am so inspired by your work. Thanks a lot for sharing the great article. 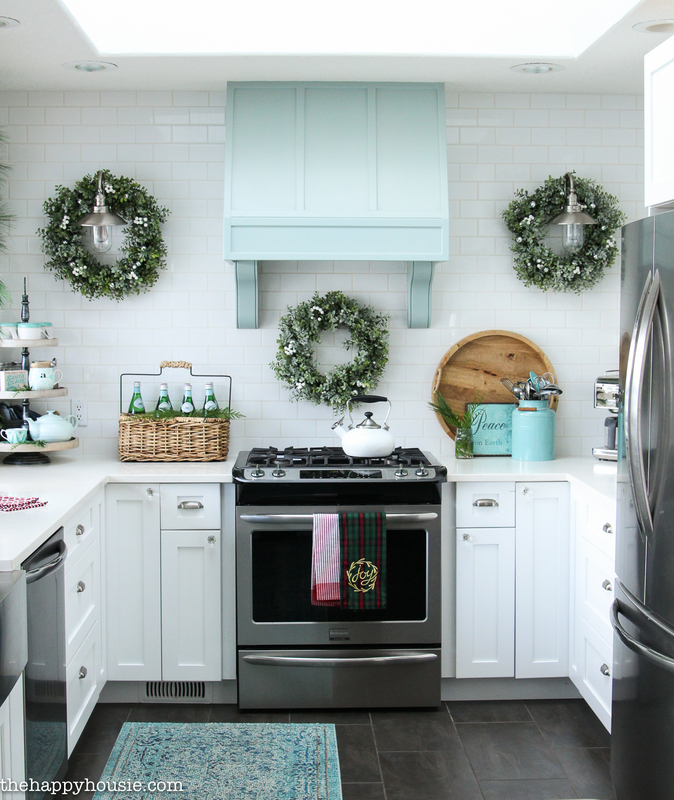 Your kitchen is perfection and it looks so pretty and festive all dressed up with green touches. It would be a shame to use that kitchen now, haha, but I know it’s going to get well used at Christmas. 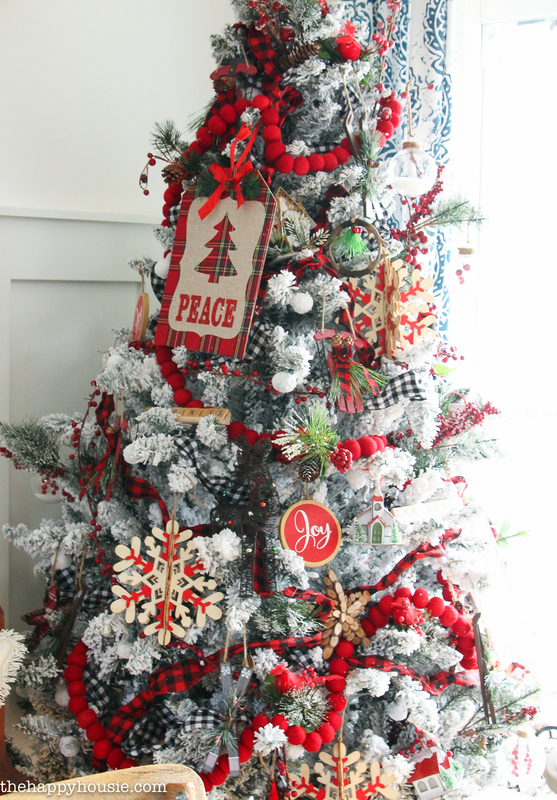 Your flocked tree is wonderful and everything looks so inviting. Enjoy! Your kitchen is what dreams are made of! 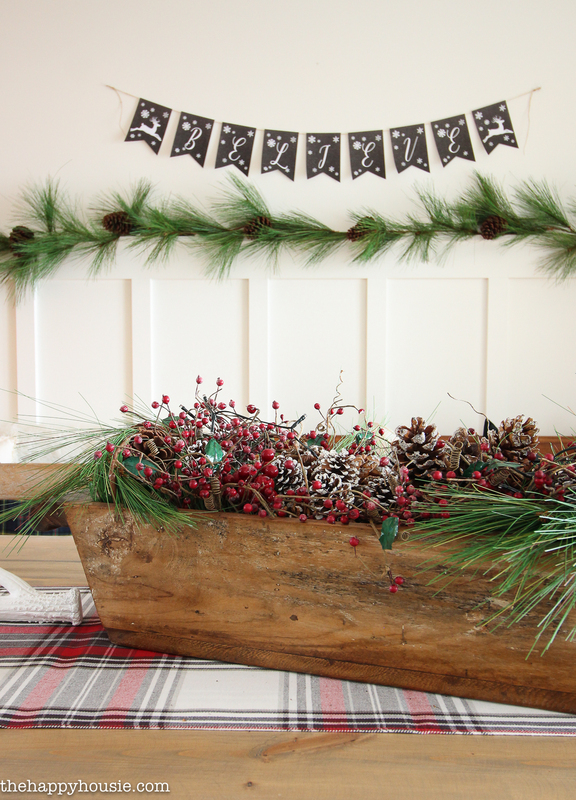 Love the warm holiday vibe throughout your home – lovely! Krista, your home is so beautiful, as always. 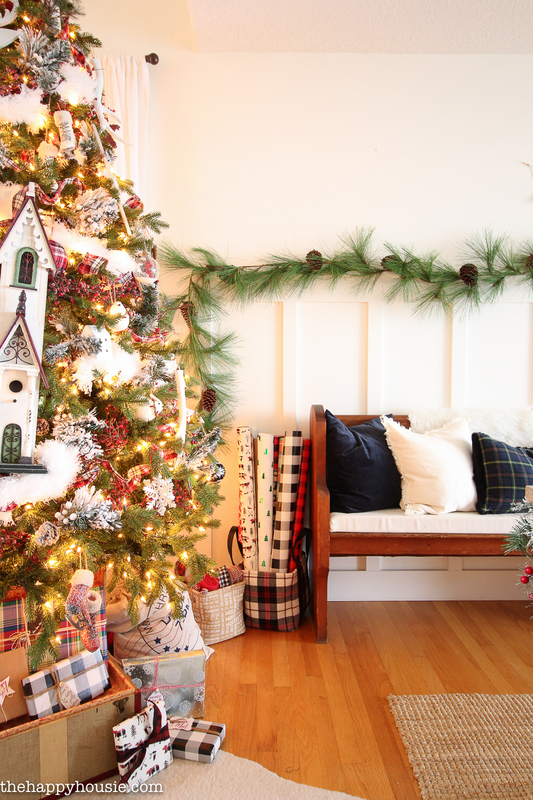 I love all the greenery and how light, bright and cozy all your spaces feel. 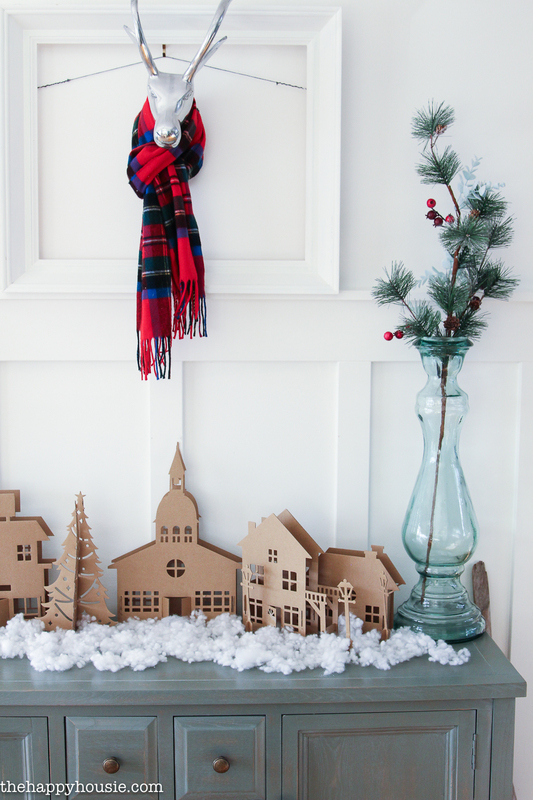 That cardboard village was such a fun find -I’ll be having an eye out for one. Gorgeous tour, love every room you shared. Merry Christmas! I LOVE everything! 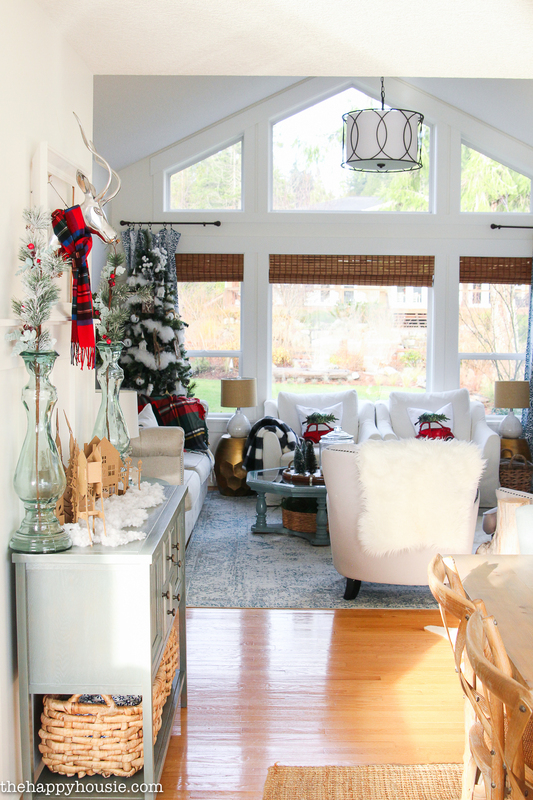 Your home is so festive and cheery…I love the plaid, the wreaths hanging by your stove, all the little Christmas touches…just gorgeous! 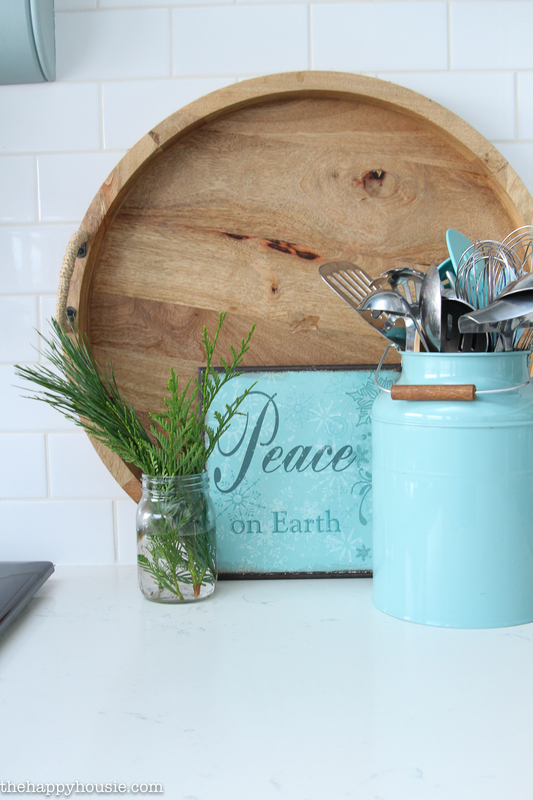 Your kitchen decoration ideas are loveliest! 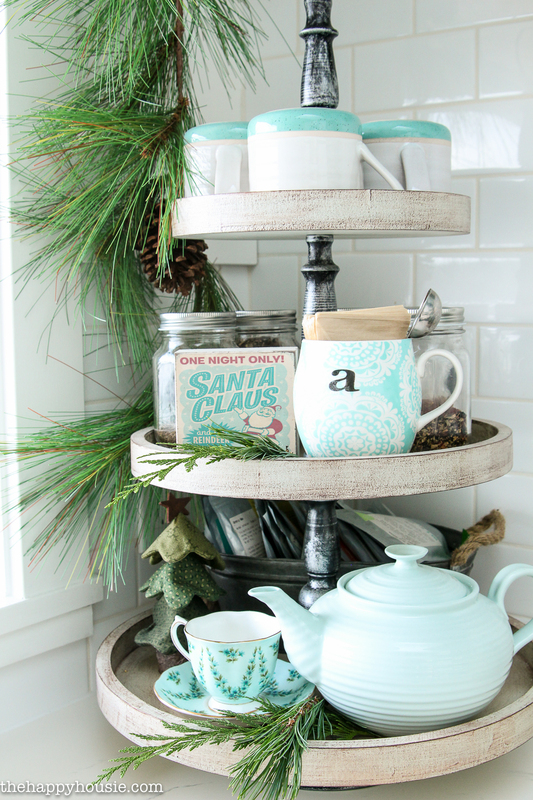 I just love your decoration and try to put some of them in my kitchen decoration too. 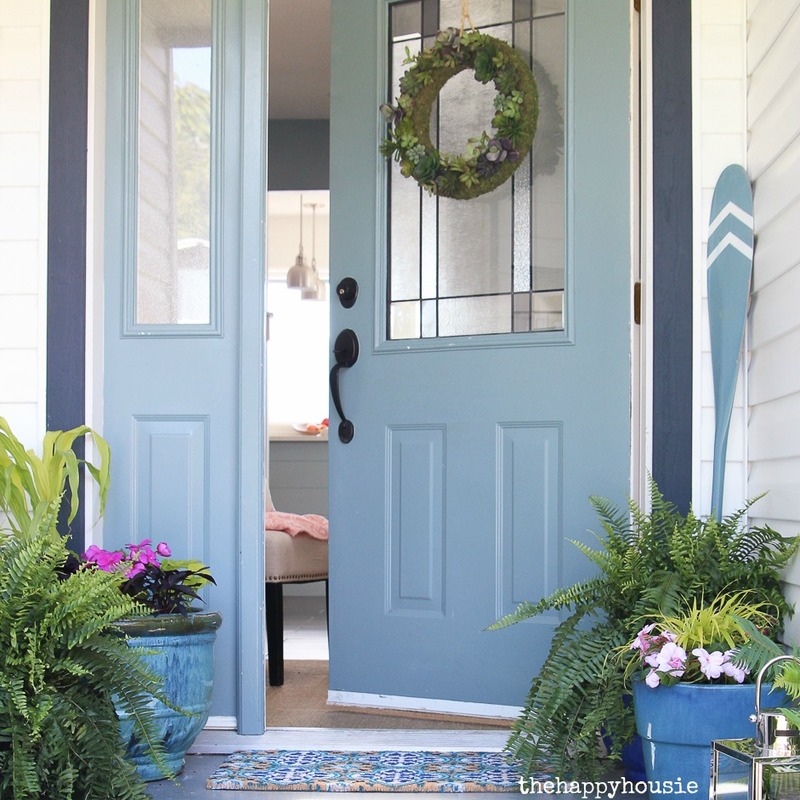 Your home is always so inviting and inspiring, Krista! I especially love it this year though! That view out onto the lake is amazing! 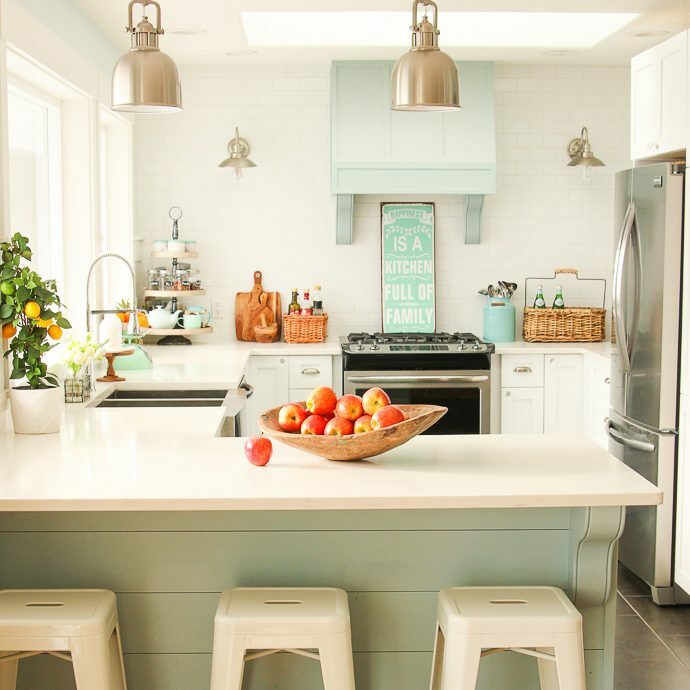 I just adore your kitchen and every time it comes up in my feed I pause and take it all in. 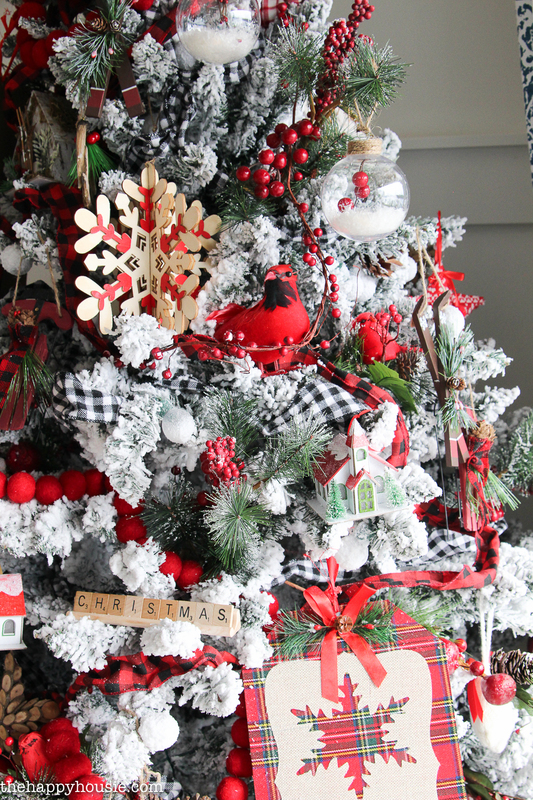 You’ve put it over the top for Christmas! It’s incredible! Krista! You outdid yourself! 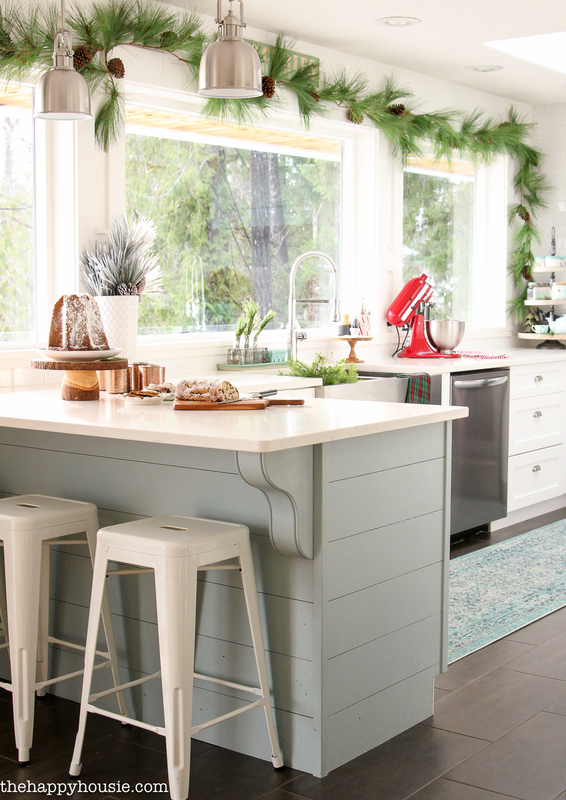 Your kitchen is stunning with the green and red with the blue, so pretty!! 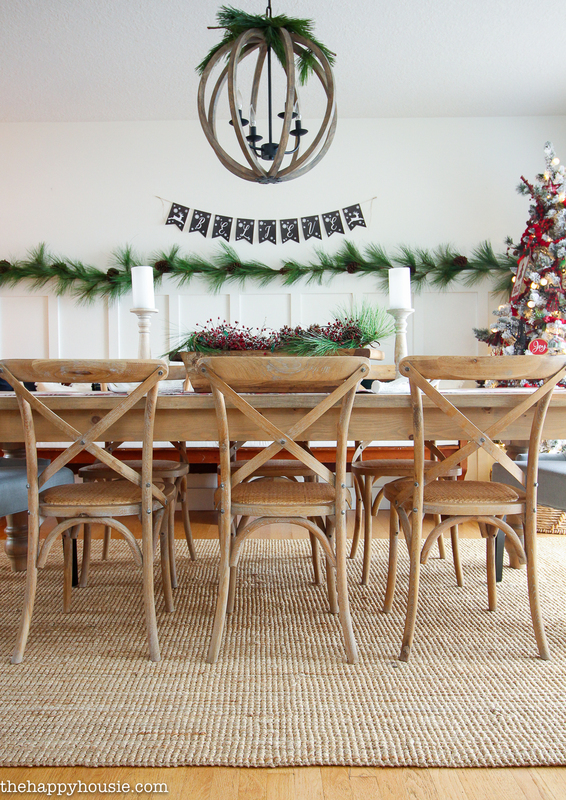 I love your dining room too and look forward to how you decorate it each year. 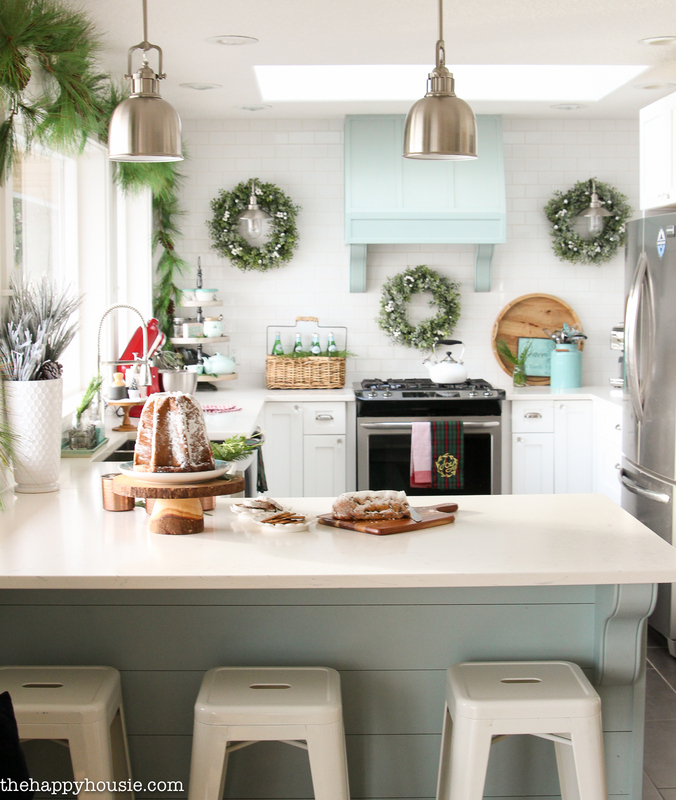 Your Christmas kitchen is always my favourite! 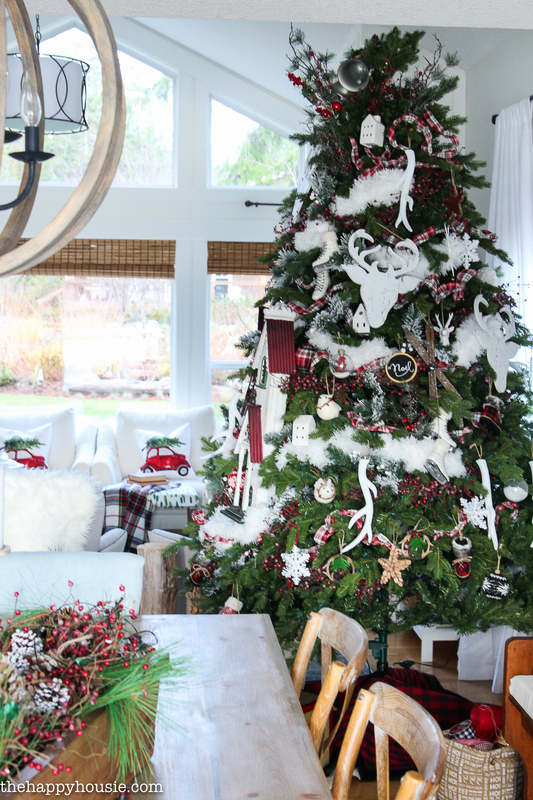 I love it all, down to ever detail, but especially the wreaths and pops of red. Krista! You’re home is stunning. 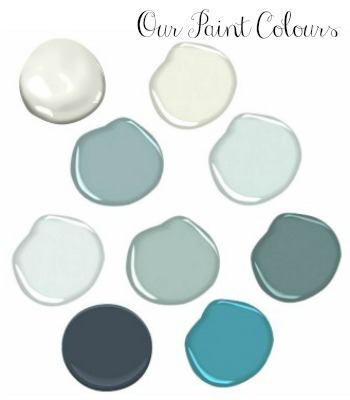 I love how you incorporate the traditional colours with the teals and colours of your home. Beautifully done 🙂 Happy holidays! I always LOVE your tours! 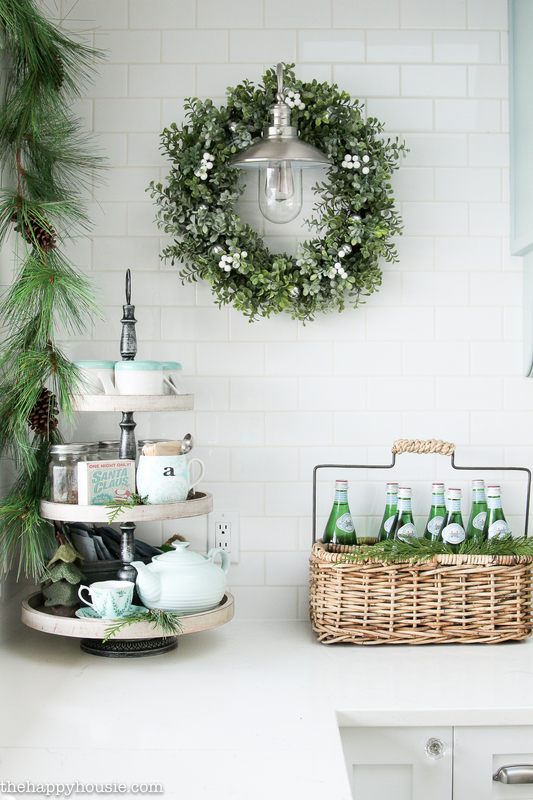 All the greenery you’ve added into your kitchen this year is stunning!